Q. Who is Mary Anning? 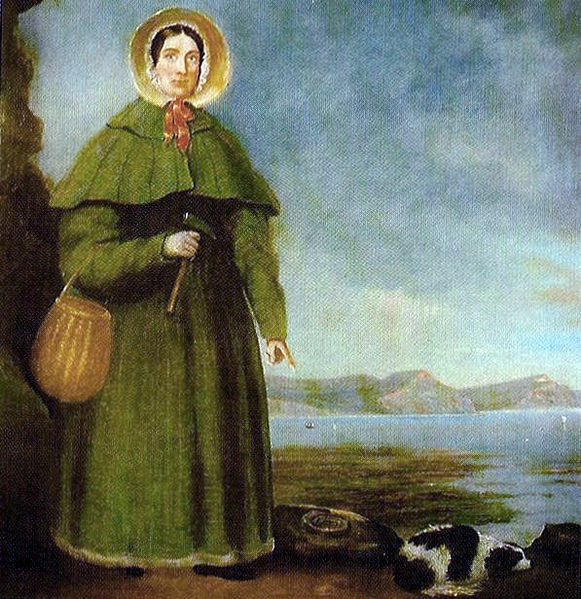 A. Mary Anning was a woman that began hunting fossils as a child. She lived in the English town of Lyme Regis from May 21st, 1799 until March 9th, 1847. She discovered the first icthyosaur skeleton and identified it at just 12 years old. She was highly regarded in the scientific community even though she did not have a formal education. She was often consulted about anatomy and collecting fossils by scientists in Europe and America. Q. What is the Mary Anning Club? A. The purpose of the Mary Anning Club is to act as a way for average people to learn about and share their love of paleontology. Anyone can join regardless of age, gender, location, etc. Everyone is welcome. To join or if you would like to ask questions, simply send your name and email address to MaryAnningClub@gmail.com to be sent reminders when the website is updated. Q. How can I get the answer to a question? A. Just email me at MaryAnningClub@gmail.com and I will do research to uncover the answer to your question. I will then respond via email and possibly post your question and answer on my site! Also follow MaryAnningClub on Twitter to get updates on paleo adventures! Welcome to the Mary Anning Club Website. The Mary Anning Club (MAC) is open to anyone who loves paleontology or even just thinks it is interesting. I originally started MAC as a quarterly newsletter, but decided it would be better as a website. Please understand that the site is work in progress. Please send any ideas or comments to the email above. Enjoy!